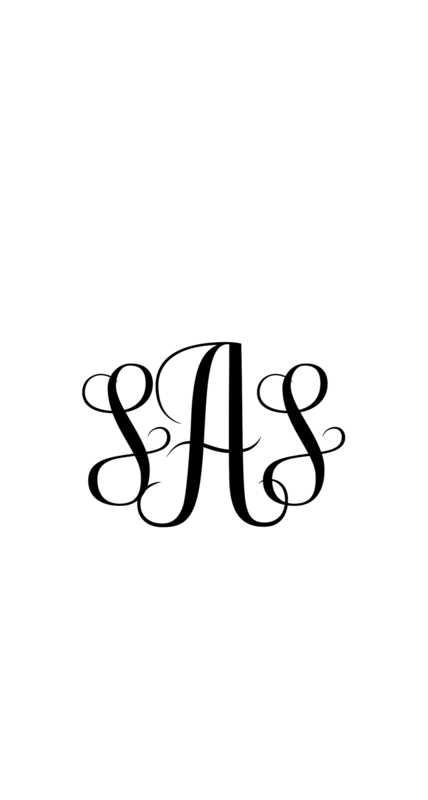 I have never really been into monograms, but lately, I have become a little obsessed with them. Having never liked my middle name, I never use a middle initial. Recently, I read an article about monograms at Mark and Graham.com explaining the etiquette of monograms. Apparently, a married woman can use the initial of her maiden name in the monogram. Suddenly, I was a little more interested. If you are like me, the word free piques your interest. Free Monogram Maker.com is a site with a ton of options from which to chose. Also downloaded the app Monogram It on your iPhone. The app has both free options and paid options. Monogram created with Monogram It. The app includes cute backgrounds and different fonts. I did not select a background, as I knew I was going to upload it into Cricut Design Space. Of course you can create that in Design Space, but honestly, it is quicker to use the Monogram It app and upload into design space than to create it. 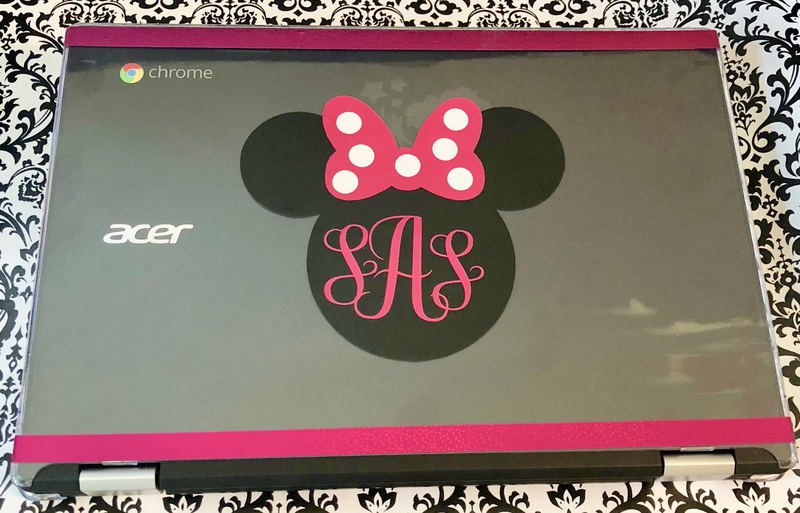 Of course, I had to add a bit of Disney to my monogram. The Mickey icon and bow are available in Design Space. I used Cricut and Oracal vinyl available here. I was able to make the bow, monogram, and polka dots from scraps I had. Always save scraps from projects. You would be surprised at how many things you can make from the scraps. 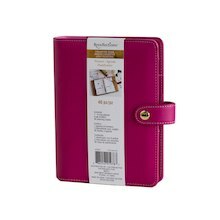 I picked up a cute pink faux leather planner at Michaels using a 50% coupon. It’s cute on its own, right? It’s my favorite color, but I wanted to add a little something special. A while ago I saw a Pin from Siser about applying HTV on faux leather. 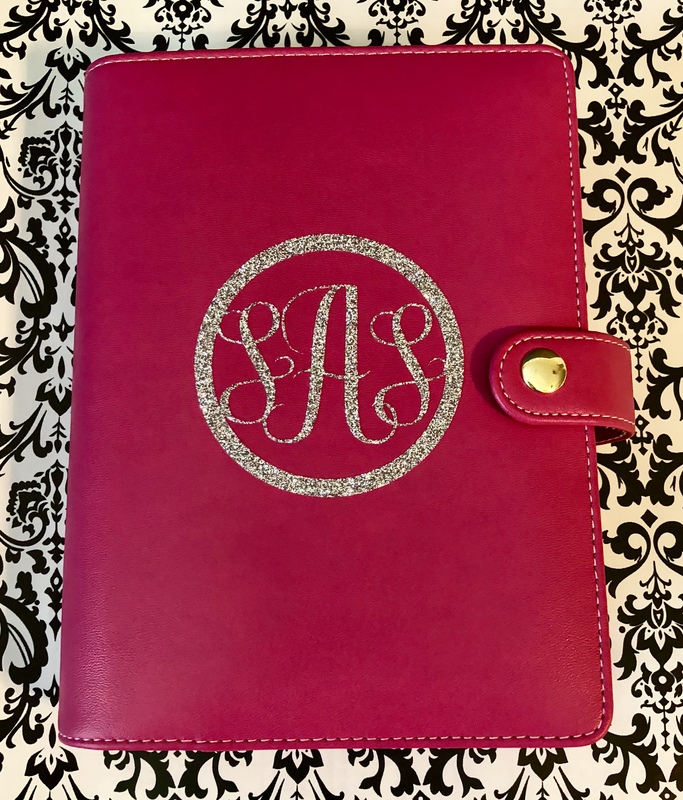 I have been wanting to try this, and a sparkly monogram is exactly what this planner needed. The Siser Pin here says to set your heat press to 280 degrees for a total 20 seconds. The directions indicate to press it for 5 seconds and then remove the carrier sheet and dust off any loose glitter particles and cover the design with Teflon paper. I used parchment paper instead of Teflon, as it is much cheaper and readily available. I found that the glitter did not adhere enough at the 5 seconds. I pressed it for 15 seconds and then removed the carrier sheet. I covered the monogram with my parchment paper and pressed it for 20 more seconds. I am excited to see what I can monogram next! 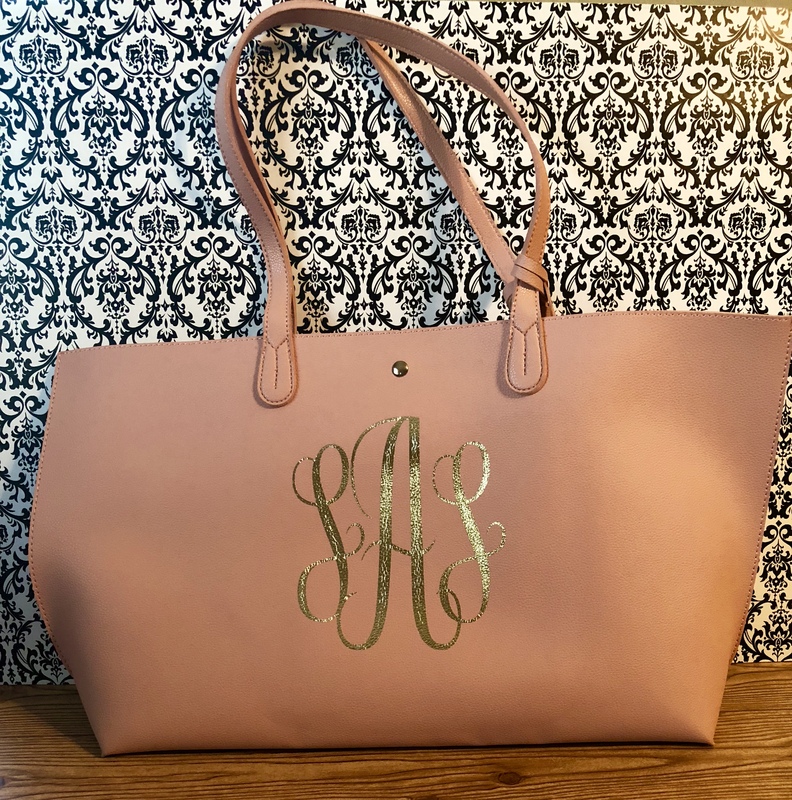 Update: I got a cute faux leather tote on Amazon super cheap and added a monogram with Cricut gold foil HTV. I set my Cricut Easypress to 280 degrees and pressed the vinyl for 20 seconds. After peeling off the carrier sheet, I covered the monogram with parchment paper and applied heat for 20 more seconds. The vinyl adhered beautifully! I have gotten so many compliments on my new tote. Wouldn’t this make a great gift?